I am a full time knifemaker whose love of knives dates back to my youth. I would like to thank R.W. Loveless for fueling my interest in handmade knives and for the friendship that we share to this very day. I credit Mr. T.M. Dowell and Billy Mace Imel for inspiring me to adopt the integral methods of knife construction. 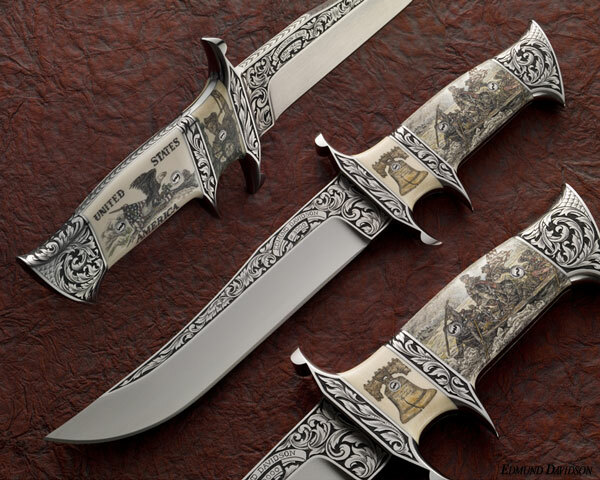 For it was photographs of their work published in the mid 1970's that would ultimately prove to have a profound impact on my life as a knifemaker. 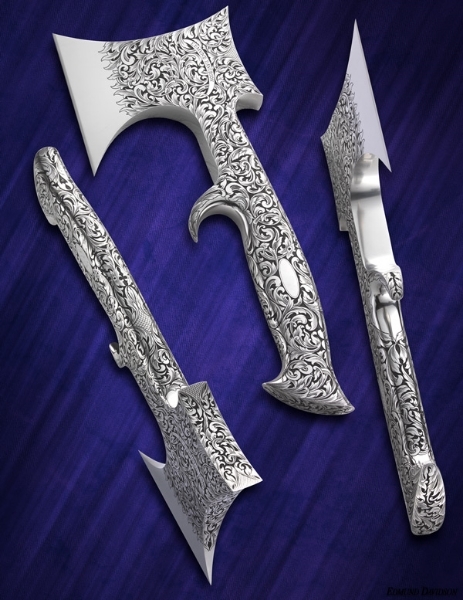 My first impression of those early knives was that they were truly a novel concept. Here was a knife that completely eliminated solder joints, gaps and vulnerable areas where stress risers could develop. 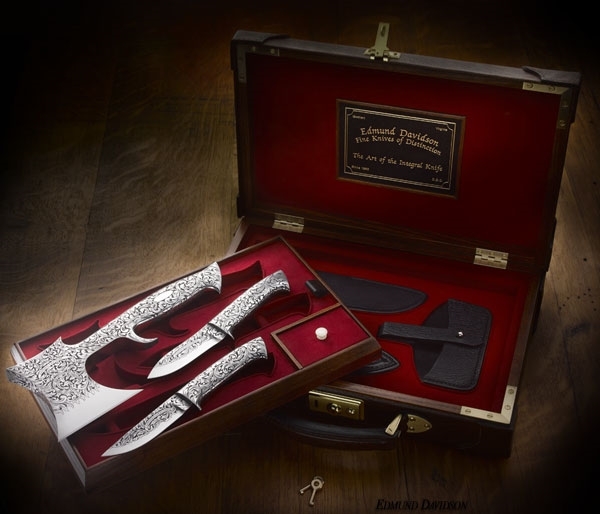 The integral knife is quite simply a solid, homogenous piece of steel with two handle inlays. 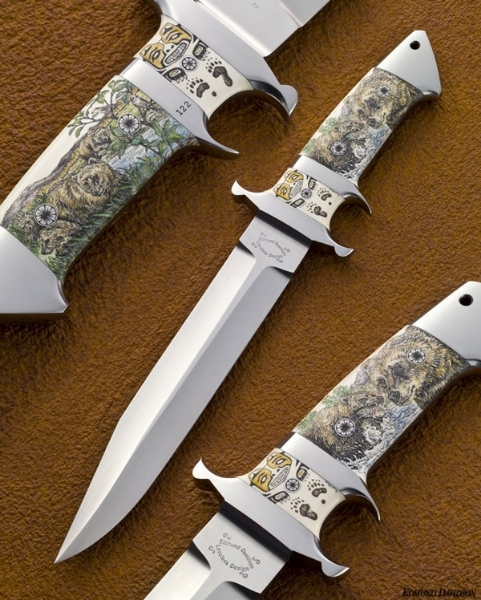 Since my humble beginnings as a knifemaker in 1986, I have developed over 90 unique integral patterns which include several designs from the shop of R.W. Loveless. 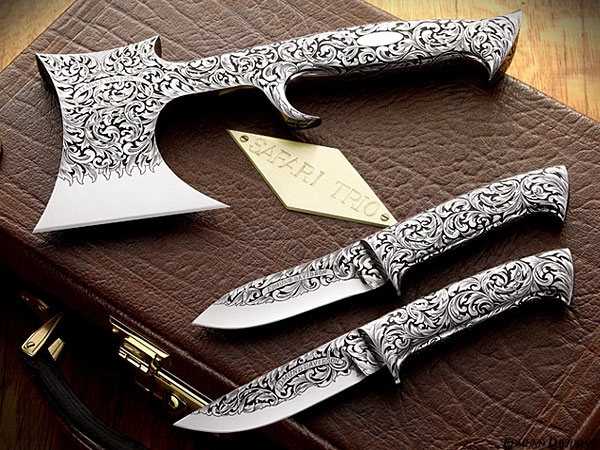 From virtually indestructible camp and combat knives to many highly functional hunting knife patterns and investment quality art pieces embellished with fine engraving and scrimshaw, I will continue to push the proverbial integral envelope and develop new patterns for as long as I am able. In closing, I would like to say that my knives are all made in my shop with my equipment. I do not outsource labor, nor do I use or condone the use of CNC machinery on knives that are represented to the public as being handmade. I purchase my blade steel in the form of bar stock and purchase the mechanical fasteners that I use to attach handle materials. I enlist the artistic services of the talented engraver Jere Davidson and the talented scrimshander Linda Karst Stone. I entrust the knowledgeable Paul Bos with the heat treating, tempering, and cryogenics of all my knives.